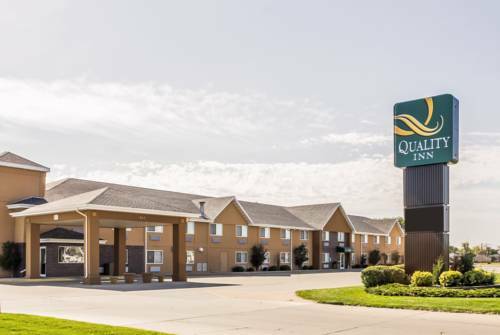 Get more for your money when you stay at our smoke-free Quality Inn hotel in Huron, SD. Our pet-friendly hotel is close to the Dakota State Fair Speedway, Dakotaland Museum, Huron Event Center and Splash Central Water Park. Each guest can enjoy our free hot breakfast, free WiFi, exercise room and laundry facility. Relax in one of our guest rooms, all of which feature a microwave, refrigerator, coffee maker and TV. Start earning rewards points today when you sign up for our Choice Privileges program. *Some amenities may require an additional cost. Pet charge of 25.00/stay per pet, limit 2 pets per room, 30 pounds and under.